I came across this: “10 Words You Need to Stop Misspelling” from TheOatmeal.com and nearly busted a button laughing at the great illustrations. 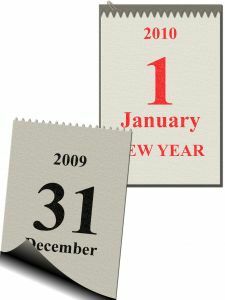 It got me thinking about what other bad habits writers should focus on eliminating in 2010. Spellcheck is an indispensable tool, but it isn’t a fool-proof application. It doesn’t correct words used incorrectly if you mean ‘their’ but use ‘there’ and spell it correctly spellcheck will leave your error there for the whole world to giggle. I’m guilty of this myself. I shoot off a quick Tweet or response and I’ve spelled something wrong, or left out a word and not just to meet Twitter’s character quota. We’re writers. We have to spell things correctly and adequately convey our thoughts without error. It would be like a chef Tweeting the wrong ingredients to a friend. Writing is what you do so get it right. I’m going out today to get brand new AP and Chicago Style guides. I have held on to my AP Stylebook for years because it’s comfortably worn and feels right in my hands. Unfortunately, it’s outdated which is about as helpful as a broken laptop. Join me at the bookstore today or renew your online subscription and get one last business deduction for your taxes. These are just a couple of things that will make 2010 a better writing year, got anymore you want to add? Write them below! I know you’re busy, but if you’d take a look up at your calendar you might notice there’s less than a week left of October. This means only two months left to the end of the year. While I always enjoy the clean slate feel of January, the truth is, November and December are a whirlwind of activity for freelance writers. Not only because of the impending holidays, but also because of all the administrative tasks we need to take care of before the end of 2009. 1. Set up a new calendar: It may be a new year, but you’re still going to have to plan ahead. Within the next couple of weeks you’ll need to set up new deadlines, plan your editorial calendar, set up meetings, log networking events and, in general, plan ahead. Having a calendar now will ensure you’re organized, focused and ready to face the new year. 2. Settle old invoices: You did the work, now make sure you’re paid for it. Keep your accounting current and make sure all those slow clients pay off by the end of the year. This way everyone is starting with a clean slate. 3. Meet all deadlines: All those tasks you’re putting off? Time to get them done. The new year is a time for a fresh start, that won’t happen when you have unfinished projects. Finish up all your tasks and start off 2010 on the right foot. 4. Settle your debts:Your clients aren’t the only ones who need to keep current. Take care of your own debts so you’re not scrambling in January. You might even be able to start the new year by putting money in the bank – never a bad thing. 5. Follow up on networking contacts: All those business cards sitting in a shoe box on your desk are there for a reason. Touch base with the people you want to do business with and file or trash the rest. Don’t wait until it’s too late to renew acquaintances. 6. Organize receipts: If your receipts are just thrown into a ziplock or supermarket shopping bag, it’s time to organize them for year end accounting. Sort out your expenses in order to save time when tax time comes along. 7. Scruitize your books: How’d you do this year? Did the end justify the means? Are you being paid enough money? Did you bring in a profit? Analyze your books and see if changes need to be made. Perhaps you need to adjust your rates in 2010. 8. Go through your client list: Time to cut out the dead weight. If you’re in a position to pick and choose, you might want to cut out the clients that are bringing you down or who don’t pay enough. You don’t need the negativity in the new year. Figure out if any clients need to go, or if you should take another client’s business to the next level. 9. Tie up any loose ends: Return phone calls and emails. Dot all i’s and cross all t’s. All those little tasks you’ve been putting off have to get done. Now. Tie up all your loose ends before the end of the year so you don’t carry that headache into the new year. 10. Set up new files: Old files in the back, new files in the front. Get your 2010’s ready so you won’t be scrambling on January 2nd. What are some of the tasks you want to complete before the end of the year? Doing these things now rather than the last week in December, or worse, the first week in January, will help you to start 2010 with a positive new outlook.